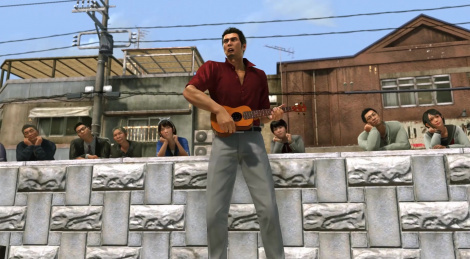 The story of the Dojima Dragon, hero of the long-running Yakuza series, is coming to an end in Yakuza 6: The Song of Life, which will be available in America and Europe on March 20, 2018. The game will allow you to try lots of activities: darts, karaoke, baseball or bodybuilding and you can see them in the trailer. These games do not appeal to me in the slightest. Maybe I like western games like Witcher 3, HZD etc too much. they're design is a lot like a JRPG (random encounters, shopping for potions, leveling up your characters abilities etc) but the combat is straight up real time streets of rage style brawler, and they do have surprisingly great stories. maybe try yakuza 0 and/or yakuza kiwami, they seem like good introductions to the series. 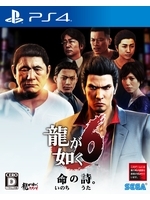 Well, if you played (and liked) Shenmue 1 & 2 you would probably like Ryu ga Gotoku Series (Yakuza in EU/US). Btw that Trailer shows "only" the mini-games. They have great stories, primary reason I bought a PS3 and now PS4 -- though Last of Us, Uncharted and a couple of exclusives help. Ok guys I'll give those a try. I do like a good story. You're talking about the hostesses, right? They're modeled after real actress, I guess it's just that the developers don't have good 3D scan tech and modeled these characters by hand. That being said though, the main story characters played by famous Japanese actors looks a lot better. Yakuza is absolutely amazing. It's the evolution of ShenMuo or like Virtua Fighter and ShenMue had a child. It totally epic and full of honor and betrayal with an amazing and complex story with very likable characters. I just remember that i saw a Poster of Ryu Ga Gotoku 6 in a Restaurant called "SushiZanmai" in Japan (July 2017). FYI: SushiZanmai is a famous Sushi Restaurant-chain in Japan.